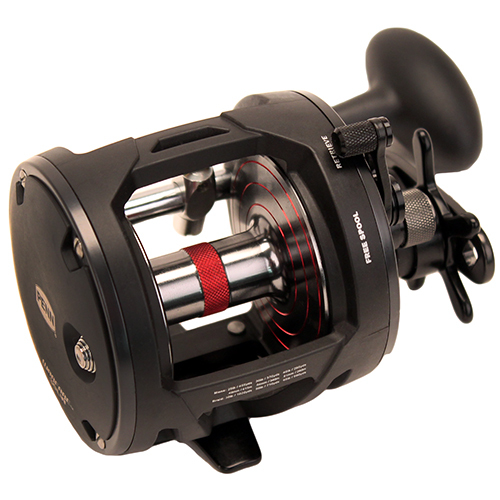 The Penn Warfare was engineered to be an extremely versatile all-around reel at an affordable price. It features a lightweight graphite frame and sideplates with aluminum frame rings for improved rigidity to prevent frame-flex. HT-100 drag washers provide smooth drag under heavy loads. Line Capacity Rings eliminate the question of how much line you have left when fighting a fish.